discoveries made in its Bank Holiday Community Dig, we are delighted to announce a further important development. Following further investigations, Hyde900 is able to report that the ‘capitals’ referred to in the report have now been identified, in fact, as ‘voussoirs’ (wedge-shaped stones which constitute an arch). 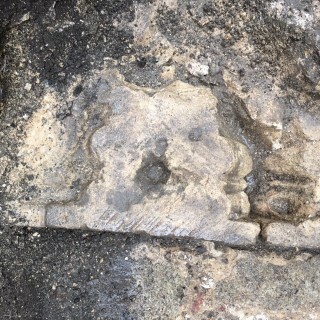 We will be issuing further information about this important find later on in the year when we hope to be able to put the voussoirs into the wider context of the abbey’s construction. Hyde900 is now consulting with local archaeological expert Dr. John Crook for confirmation of this find. There is also speculation as to how these voussoirs might have come to be used in this way. One suggestion is that they were excess to original requirements and had therefore been used in an alternative way. Another view is that they had been recycled following, possibly, the destruction of the abbey during the war between Stephen and Matilda. A third view is that they might have come from New Minster when the abbey community moved to Hyde in 1110. What is clear is that there is much more to be unearthed in the back gardens of Hyde in the campaign to look for the lost minster of King Alfred the Great. With the agreement of both Chris Prior and Tracy Matthews, Winchester City Council Archaeologist, the voussoirs were carefully exposed and lifted under the expert eye of Dr John Crook, and the context explored. A key reason for this was the vulnerability of these important finds – described by John as being “of outstanding international importance” – being less than 20cm below ground level. The result was a treasure trove of materials in all probability from the cloister arcade, and/or possibly the adjacent cloister building. 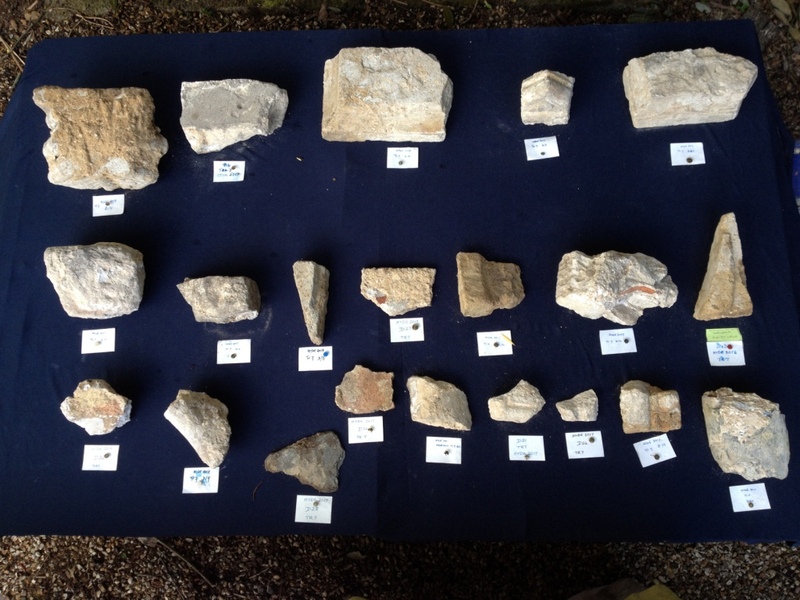 The Hyde900 team have been sifting the adjacent mortar for other reused materials , and to their amazement have found no less than 60 discrete items of stone mouldings in addition to the voussoirs, some of which show the possible effects of burning. These have been carefully cleaned and added to the database of finds for the abbey. There will now follow extensive research into how all these pieces fit together. The full results should be available in time for a full explanation and display at the 2017 King Alfred Exhibition on 20 to 22 October.